So you have a beard club and it’s pretty cool. It’s growing, in fact you got 14 new members this week and you all have a common place to chat about your awesome hedges. You have the business cards that you hand out to the ones you deem qualified to be in your club and it’s all cool because you have a unique group of men who all belong to something. Only problem is how to promote it offline. Sure you have the business cards you can ambush someone with while their enjoying a cocktail with friends. But if said friends think a beard club is cheesy, well you just set that chap up for a night of harrassment from his boys. That’s never a good idea. The best clubs let the members come crawling to them. Let’s say that poor chap was having some cocktails with his pals and instead of ambushing him with a business card and interuppting him about how awesome your club is, you simply head out for the day sporting one of your awesome one of a kind custom beard club tshirts. No more having to sneak up on some unsuspecting beard bro and breaking his mojo by telling him about your club. No, instead he can see your t-shirt from a distance with envy, and he comes over to you. Maybe he says “Nice shirt” and you say “Thanks Man.” Then he says “how do I get one of those shirts?” and you say “Just join our feakin’ awesome beard club is how.” Tell him to go to your site “mybeardrocks.com” and sign up. You have give aways, chat about the long locks, have beard balm give aways, and just enjoy some time about talking about beards. Custom beard club tshirts are an awesome way to promote and attract new members from a distance, without being pushy, and without being lame. Let’s face it, two strangers chatting it at a bar about how awesome each other’s hedges are is kind of lame. 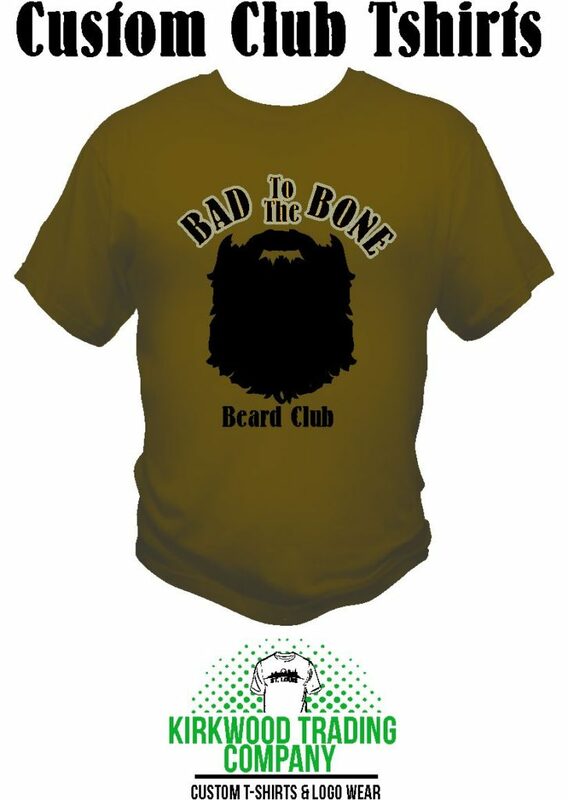 A Custom beard club tshirts eliminate that lameness and propel your club into bread heaven awesomeness.